I like Russian cuisines very much because they make me hot! From now, I will introduce Russian cuisine. Please look at picture No. 1. Borscht is made of broth, beets, and tomato juice with various vegetables. Vegetables include onions, cabbage, tomato, carrots, and celery. 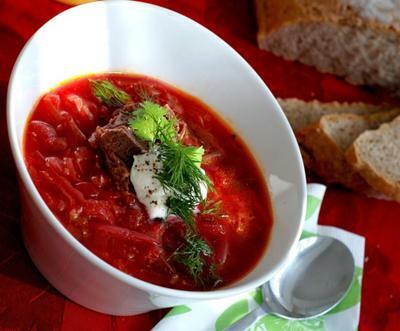 Borscht always includes meat, usually beef in Russia & pork in Ukraine. Please look at picture No. 2. 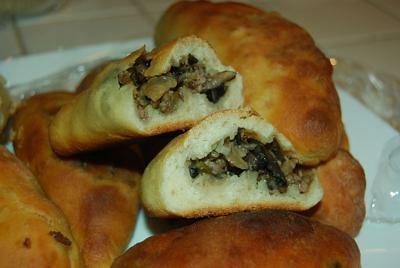 Russian pirozhki is made with onion, mushroom, meat, and rice stuffing. Pirozhki are small stuffed buns made of either yeast dough or short pastry. Please look at picture No. 3. 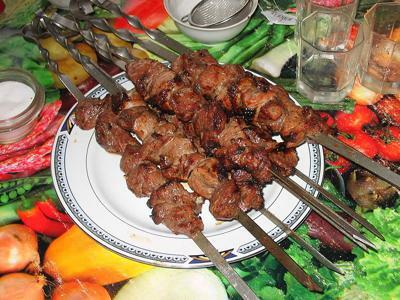 Shashlyk often features alternating slices of meat and onions.